Sadly, I voted with the 31% ... 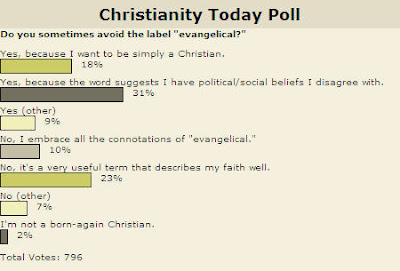 I wanted to vote with the 18% but I simply don't like the political connotations associated with Evangelicalism. How would you vote?